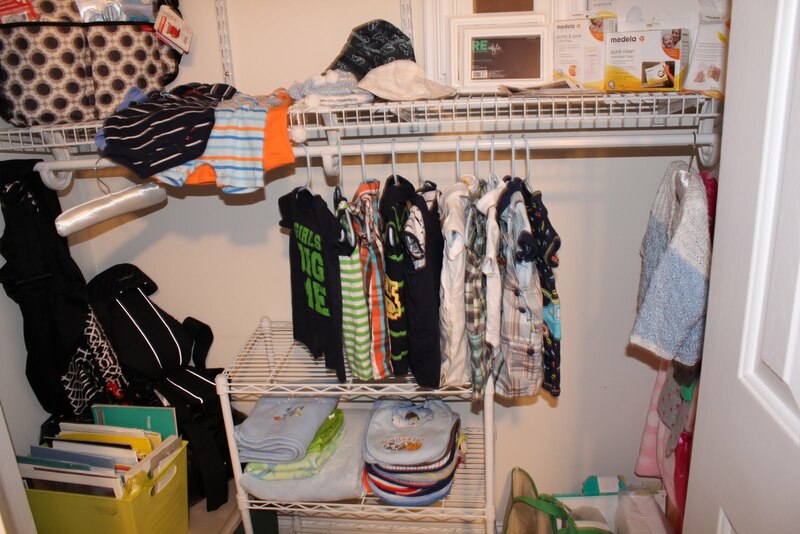 And started setting up his closet (Most of his clothes are in the dresser and I ran out of hangers : ) I’d say I’m nesting…how about you?? On another note, I had a check-up today, and all is Great with both of us! Weight gain is fine, blood pressure was 106/70, Heartbeat was 140, and the Nurse told me I have one of the best looking belly’s, and not a stretch mark to be seen : ) Now I’m sure she says that to a lot of her patients, but these days, I’ll take what I can get and lets hope the No stretch mark thing holds true for the next 7 weeks. I figure if my feet and ankles continue to swell like they have been, then that will make up for 10 women who have stretch marks! So yeah, even though my blood pressure is great, I’ve got swelling in my feet, and if I wear more supportive shoes, then my ankles just look like golf balls : ( And my Mom tells me, it’s just going to get worse. 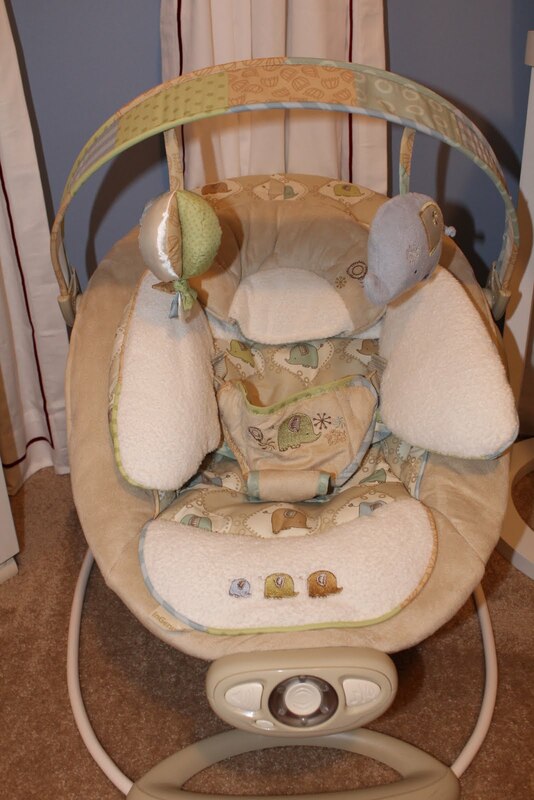 Oh well, it will all be worth it once our Little Guy gets here! I go back in two weeks for another check up, and after than I’ll be seen every week! It’s getting closer!!!!!!! Best moment this week? 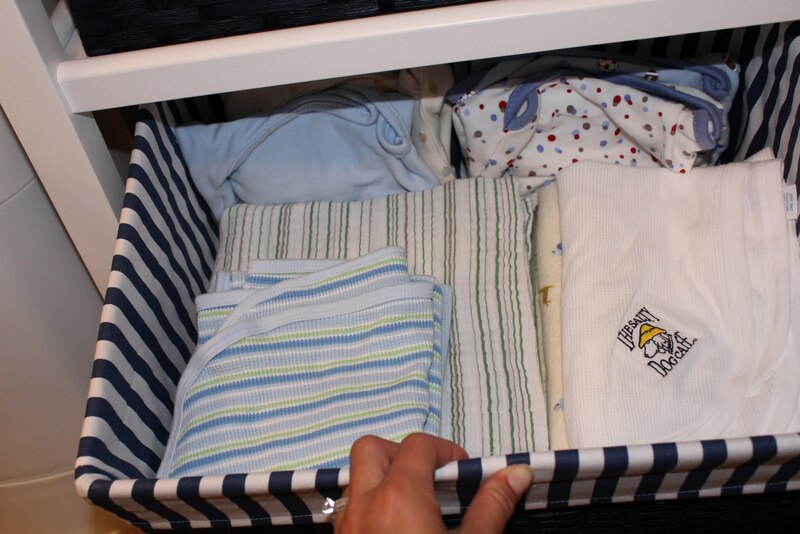 Hearing Garrett’s Heartbeat and organizing his room! Looking forward to? Getting some family members and lots of friends together for my Charlotte Shower on Saturday! Milestones? Getting closer and closer to meeting our little man! Everything looks great! 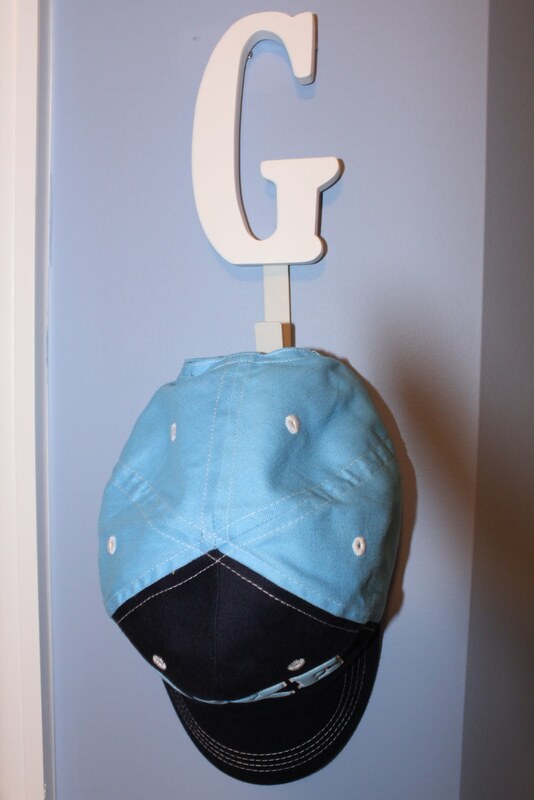 I love the G hat holder .. very cute!